For those of you who don't know, a parameter schema is a special type of schema which allow developers to pass parameters to the Template Building Blocks (TBBs). The main purpose (if not the only) of this type of schemas is to make TBBs more flexible so that these can be reused across multiple environments and implementations. Sometimes after setting the parameter schema in the TBB, somehow it seems to disappear after uploading a newer version of the assembly or after using Content Porter to import the TBBs. The only thing you need to add is the attribute TcmTemplateParameterSchema to the class. Say that you live in Miami and you want to travel to New Delhi, how would you do it? You wouldn't probably walk, neither go by bicycle nor swimming. I am not sure what you would do but I know what I would do, I would buy on the internet the best value for money ticket available to go to the destination desire. By now you must be thinking, what the heck is this guy talking about? Well, I am talking about the so unpopular common sense. I will NOT be talking about anything very advance but instead about some basic things that should always be considered before starting and during a software development life cycle. Getting the right names for your solutions and projects is very simple, although based on my experience often in real implementations the names chosen are quite bad or simply terrifying! These are usually not complete, inconsistent and/or meaningless. Before creating a solution think upfront which projects will be part of the one you are creating at the moment. Despite there is quite a lot of information about naming conventions for classes, methods, properties, variables etc. there is almost no information about naming conventions for Solutions and Projects, thus I will provide some guidance on this. Given that I haven't found official information about this topic I will share some simple steps I follow to chose the names. In case you are not happy with the names you gave to a solution and/or project some time ago, you could always go back and change them. In fact it is probably about time to do it, so take 5 minutes and go ahead! Completely different areas of development such as Content Manager and Content Delivery should never be together in the same VS solution. Topics of large size within these areas can also go into different solutions. Separate parts of these topics can go into projects inside the same solutions. References. Containing all the references needed for any project, this is to avoid storing together source code with project dependencies. Next I will elaborate a bit the content of some of these folders. The folder References could look like this. 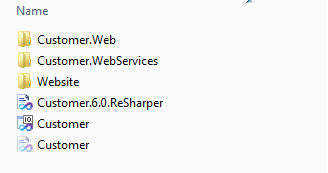 The Web Application folder contains everything related to the web application. There is no need to say that controls or other parts of the web application for the same web application should not be part of different projects for no reason. This is an image of how the Web Application folder could look like. And this is how the Customer.Web folder could look like with its controls, framework etc. It does not really matter what programming language you work with, you must always remember to clean up what you have done. The simpler your solution is the easier it will be to maintain in the future. From the development perspective it means time, and from the business perspective it means money, some times a lot money. It is obvious, but most of us forget (or don't want to remember) to clean up that painful project in which we have been working on for a while. So, how do you clean your mess? Easy. Secondly remove any unused references. There isn't any benefits on having unused references, however chances are that one or more of these will give you some head aches in the long run. Often I can see at customers Content Manager code with references to Content Delivery assemblies, that is wrong. On the other hand, I also see Content Delivery code with references to Content Manager assemblies, again this is simply wrong. There is not a single good reason for you do this, and there is not a good reason for you not to remove these references that are clearly wrong the next time you stumble with them. If you are developing software you MUST use some kind of version control software. In my opinion the worse version control system in the market is much better than not using any. No, there is not excuse to not use a version control software. If you want a recommendation, a colleague of mine would have no doubts: GIT is your friend. I'd give it a go! Learning curve might be a bit steep but advantages of GIT compared with similar software seem to be great. Store all the DWTs inside a code repository, at the end of the day Tridion should not be used for this purpose. Among other things using a code repository for this will allow you to be able to roll back all the DWTs very quickly. To me this does not make sense at all. A Content Manager is not a Web Application Manager and therefore it should be used to mange content not the Web Application dependencies. Please feel free to contradict me and provide some arguments, I would like to know why this has been done in some implementations. Store all your TBBs in one assembly or group the TBBs per topic inside different assemblies. However, DO NOT create one assembly for every C# TBB! Some of you might be wondering why I am saying this, well the reason is that I have found this in real implementations. From my point of view in 99% of the cases creating common schemas among different content types does not make any sense. Firstly from the functional perspective this is very confusing to the Editors, depending on the content type editors will have to fill in one field or other, therefore it is not intuitive nor user friendly. Secondly, from a technical perspective you are creating unneeded dependencies between the different content types, meaning that in the future you'd have to work a lot more to get around this. All these problems could have been avoided by creating a few more schemas even though these had a good set of fields in common, for those fields in common you can just use an embedded schema. 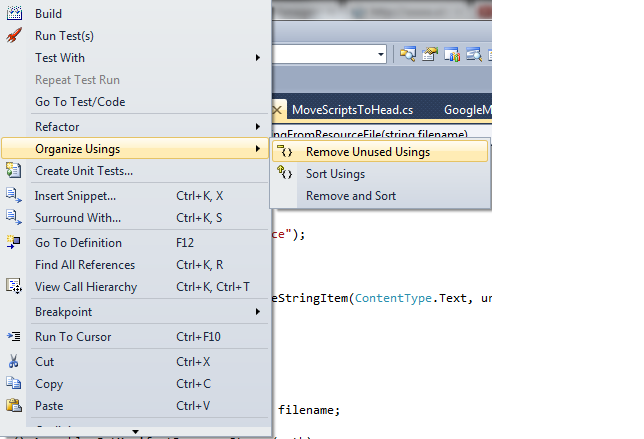 On the Content Manager side you have a great IDE Visual Studio (it is great at least for me), make good use of it! If doesn't exist already create an environment variable TRIDION_HOME, set this variable to the path where you want to store the config and lib folders. Now your content delivery is ready to be updated efficiently. For instance, if you need to change where you want to store an item type (DB or file system), you only need to change one config file instead of one config file per Web App. Some weeks ago I wrote this post about how to keep up with the Tridion community, in the last part of the post I mentioned that I was still missing a way of doing cross-domain search ONLY through the entire community efficiently in one go. It is very important to search only in the community to increase dramatically the relevancy of the results. 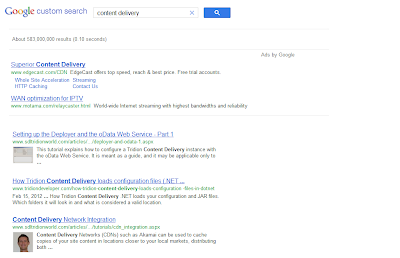 Well, last week I found out about a beta version of a new google service that allows you to create your own custom search. You can do it from this page, I have already created my own Custom Search Engine (CSE) with all the Tridion related sites I follow. Furthermore I have added to my blog my CSE so that you can play around and even use it yourself to perform real searches, it is placed just to the right of these lines. I am very enthusiastic about this service because from now on we'll be able to search efficiently for any thing within a tiny group of websites in which we are interested. what does this really mean? 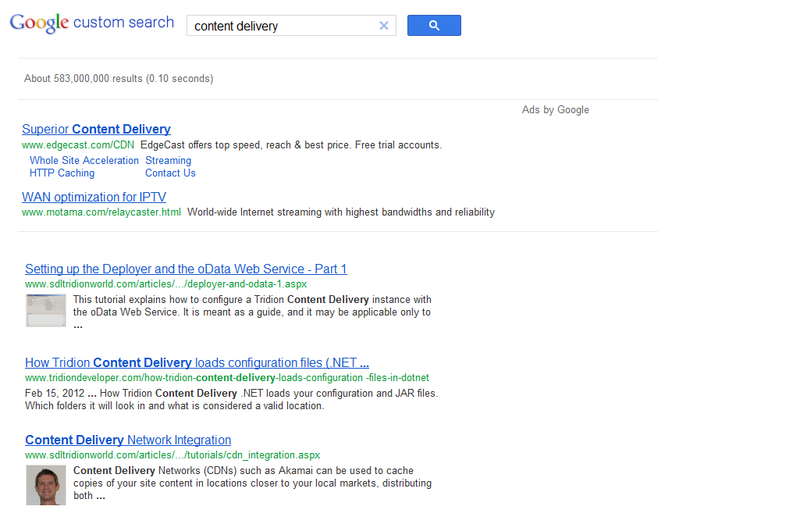 Let's compare the search results for the phrase "content delivery" using www.google.com and my CSE. 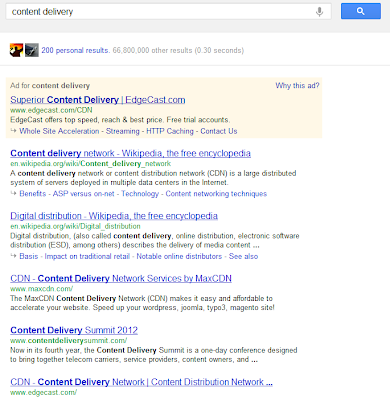 From a Tridion perspective, searching for "content delivery" in www.google.com returns 0 relevant results in the first page. 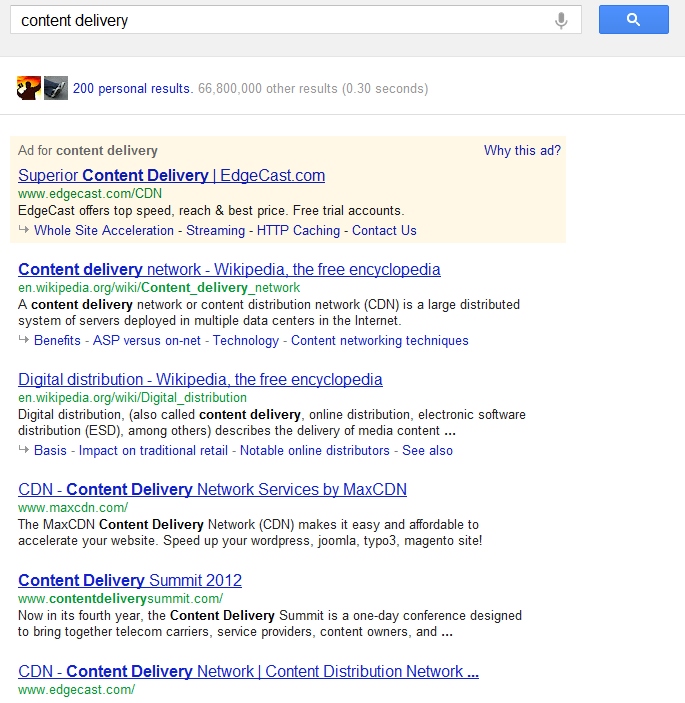 From a Tridion perspective, searching for "content delivery" in my custom search engine returns only relevant results. 1/2 kg of rice. Make sure this is rice for paella, so if possible go to the closest Spanish food store. Azafran or Coloring (azafran pulverized). If you want the rice to be really yellow, get coloring. Go to the closest Spanish food store to buy it. I am writing this post because a good friend of mine, Oscar, told me a few weeks ago that was considering to get enroll in a course to get certified in Prince 2. A couple of months ago or so I became certified on Prince 2, I will share some thoughts about my experience while learning this project management methodology. It has not been the first time I have studied a PM methodology, although it has been the first time that I have got an official PM certification.